I don’t know about you, but seems like everywhere I turn lately, chalkboards are very, very popular. In addition to the standard chalkboard you can buy to hang on your wall, I’ve seen chalkboard paint, chalkboard vinyl in all shapes and forms, chalkboard labels, chalkboard speech bubbles and chalkboard inspired fonts. 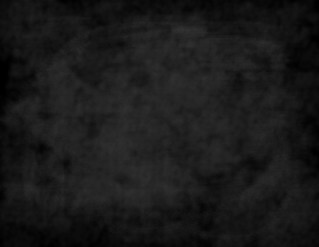 So, I decided to try my hand at making my own chalkboard backgrounds for use in my photo books. I made them in Adobe Photoshop by taking a black background layer and then overlaying that with random white brushstrokes which I blurred. I then reduced the opacity of the “white chalk dust” layers to slightly cast a layer over the black to get an erased blackboard effect. I created one version that has lighter chalk residue and one with more chalk. If you cover the background with more stuff, the dust effect may be a little too muted, so I made a one with more chalk dust so you have some options. I think they came out pretty good for my first try and I’d like to share them with you for your photobooking and scrapbooking. School themed and kids themed photo books are obvious, but chalkboards are so hot now, you can use them for anything you’d like. I could see them making a great background for a travel photo book, especially if you add some fun journaling to go with it. Click here to download both of my chalkboard freebies! The chalkboard backgrounds are 300dpi and 11″ x 8.5″ size. If your layout is a different size, you can resize it just like you do a photo to cover your page. Feel free to use them however you want – I just ask that you don’t offer either for download on your own site or offer it for resale. Scrap for hire is okay too. So, now that you have your backgrounds, how about some FREE cool chalkboard inspired fonts? Below are some of my favorites. I found them on various free font sites. I found a bunch at fontspace and one at dafont.com. When I got to the sites, I searched for “chalkboard” and “handwritten“. If a specific font doesn’t pop up under those searches, just type in the font name in the search box. The font names are listed above in their own font. You shouldn’t have any trouble finding them. You will find most of the fonts on fontspace. “Chalkline” was found on dafont. “Chalkduster” and “Chalkboard” are specifically Mac fonts that came on my computer, but there’s plenty of others for PC users too and there’s many more that I didn’t list. 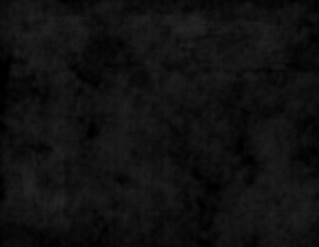 So, I took my black chalkboard background (#1) and created a layout in Photoshop. I used a white brush to freehand the doodled frame, arrows and heart. I picked some of my favorite summer pics and used “Secret Love” for the caption font and “Appleberry” for the title. You can take the plain background I’ve provided and upload it directly to the photo book company of your choice and layer your photos over it, or you can add the doodle details like I did in Photoshop or any other free photo editing program. I also wrote about free trials for Photoshop and other products here. So, now you have all the tools to make a very cool, chalkboard layout for your next project! I would love to see what you do with the background – please let me know if you use it. The best way to not miss any freebies or photo book deals is to stay in touch! Do you recall which brush you used for your doodling? It looks great! Thanks Bethany! Yes, it’s was in the “Wet Media Brushes” set. “Paint on Rough Texture” 55 px at 100% hardness, though I bet it’s not the only one that would give a similar effect. I’ve never done this before so it was a fun experiment! Thank you! This is neat, I will try it soon. Hi Rhoda, you may find this post on Blurb software helpful. Also, check out my how to photo book series here. You probably need to make another photo box to add another photo. You also may need to be in “edit mode” – Blurb’s software has two modes. One where you’re editing the layout and then another where you’re adding photos to the layouts you created. Hope that helps and good luck with your book!